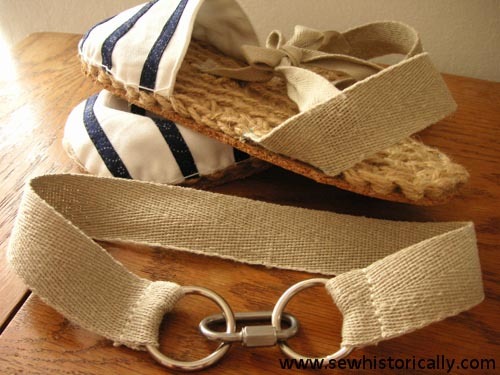 As I’d left some linen webbing from my DIY espadrille shoes, I made a matching linen dog collar for my dog. 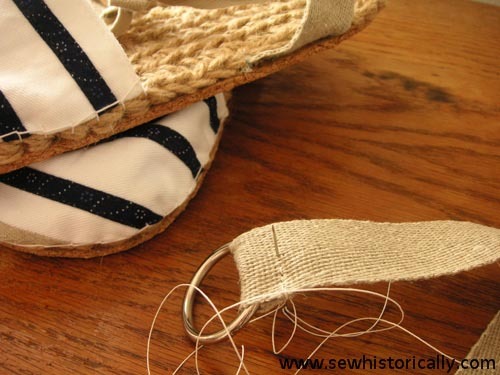 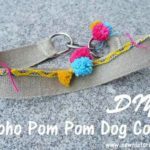 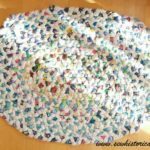 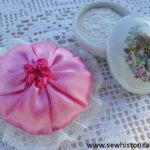 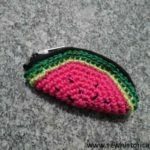 – Originally, I had bought the linen webbing for a dog collar, 😉 but then I used some of it for the espadrilles – and luckily I’d just enough left for the dog collar! 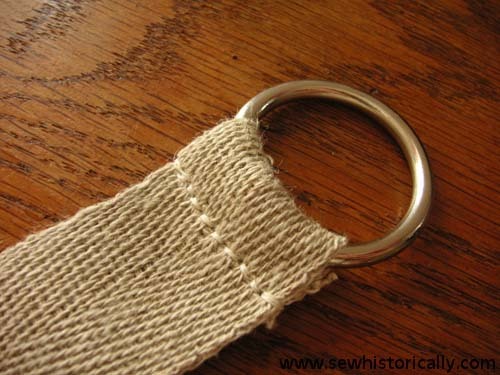 I used linen webbing, two V4A stainless steel O-rings and a screw-lock carabiner. 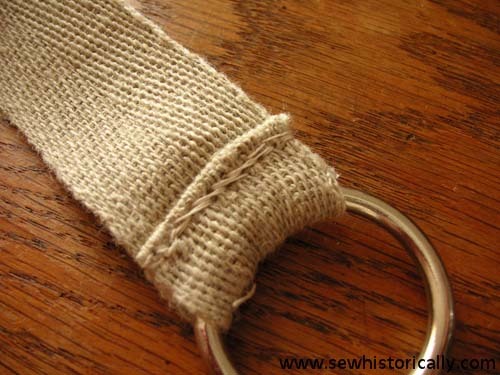 Because the webbing is 100% linen, I used linen sewing thread. 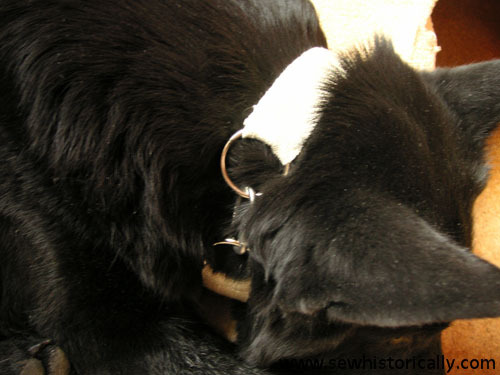 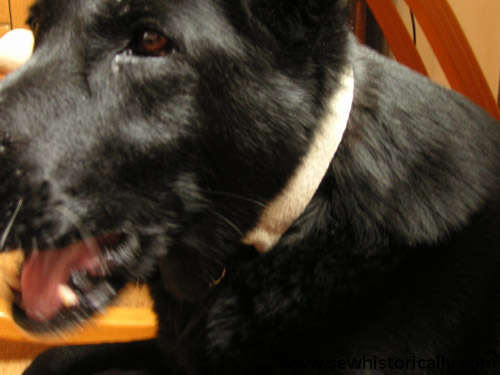 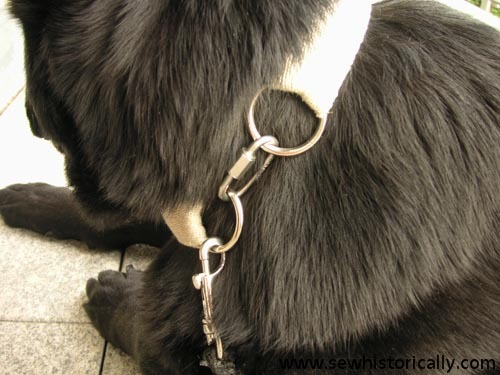 I sewed the dog collar by hand back and forth with backstitches to make a strong seam. 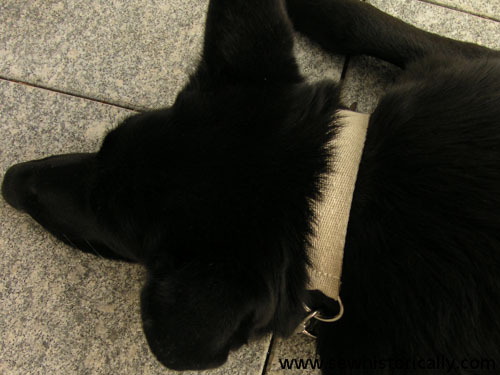 The linen webbing is very strong – stronger than cotton webbing – so it doesn’t need a backing of nylon or polypropylene webbing which commercial linen dog collars have. 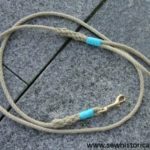 I also made an Edwardian silver dog collar and two rope dog leashes.